With a little twist on the classic preparation, this cucumber raita with mint provides a refreshing dip to accompany any spicy meal. 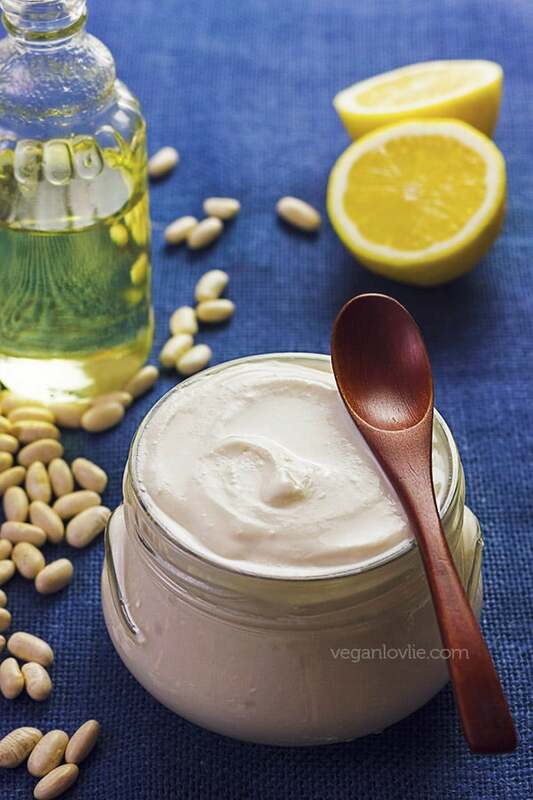 Dairy-free and soy-free dipping sauce. 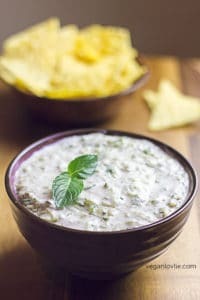 Similar to a Greek tzatziki, cucumber raita is a simple yogurt-based sauce that is served alongside spicy meals and very often with Indian food. No biryani dish is complete without a dollop of this cooling condiment on the side. A refreshing mouthful of this creamy cucumber dip provides the much needed relief to douse fiery curries or spicy dishes. 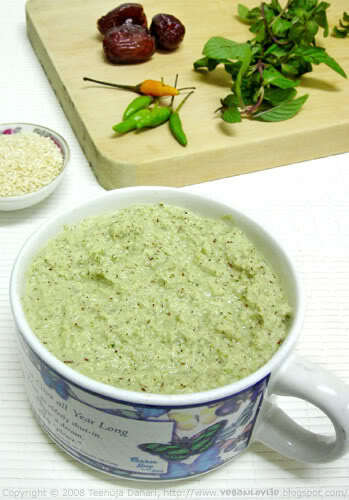 Among the many different types of raita that exist, the grated cucumber one is probably the most common. Other varieties make use of various vegetables like carrot, radish, beetroot or a mixture of these. 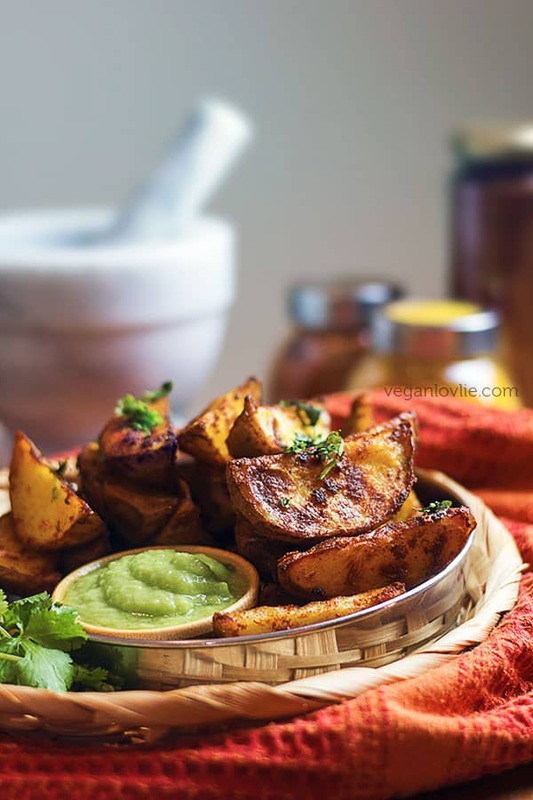 Besides the seasonings that are quintessential to a raita preparation, swapping the lemon juice for balsamic vinegar enlivens the whole blend with a mellow tartness, subduing the strong acidity that lemons would have otherwise lent. Fresh mint leaves add to the cooling effect of this raita but you can also use coriander leaves (cilantro) if you prefer. English cucumbers are what comes readily available over here but other varieties are also suitable. The skin can be left on; it adds a nice touch of green to the blend. However, depending on the variety, it is preferable to peel certain types of cucumbers. A pinch of ground cumin and coriander seed powder add a subtle punch of flavour, especially if you are serving this raita with bland food. If the other constituents of the meal are spicy enough, then you may want to omit the spices and keep the dip neutral and cooling. This raita works well with curries in wraps or over rice. The jackfruit curry that we made a few weeks ago presents a delicious combo. Raita is also a very nice accompaniment with a scrumptious biryani dish. 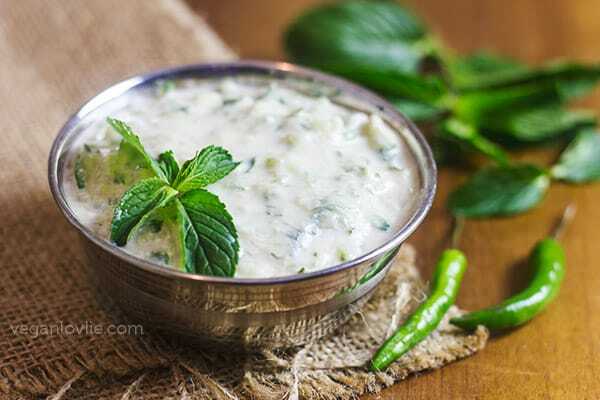 Or simply use this raita as a dipping sauce with your favourite snacks or other finger food. 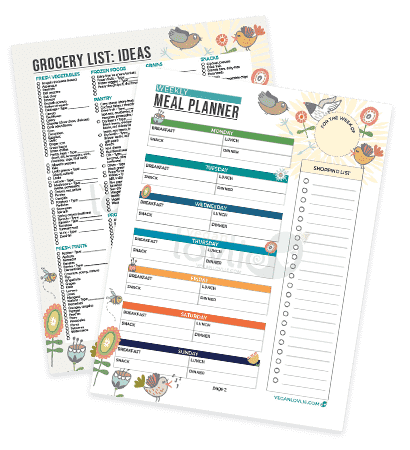 Watch the video for the step by step process. Note: You can drink the leftover cucumber water or use it in a smoothie. With a little twist on the classic preparation, this cucumber raita with mint provides a refreshing dip to accompany any spicy meal. Dairy-free and soy-free.